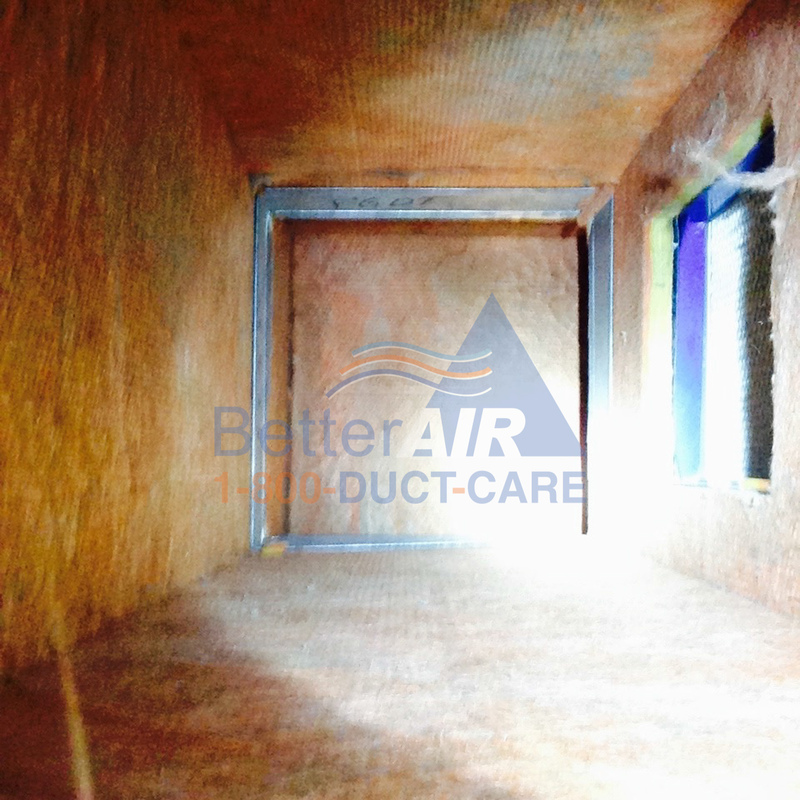 Improved indoor air quality of your home or office. 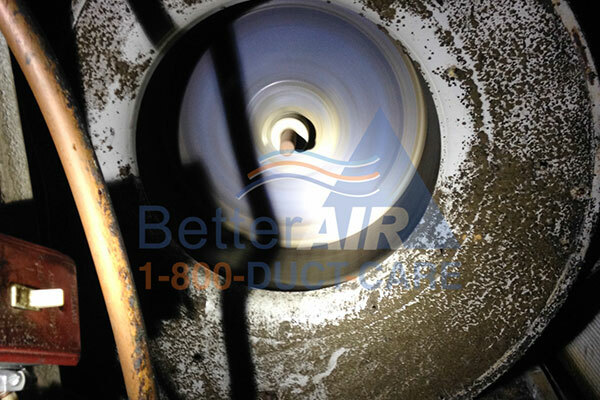 Remove years of accumulated contaminants and debris. 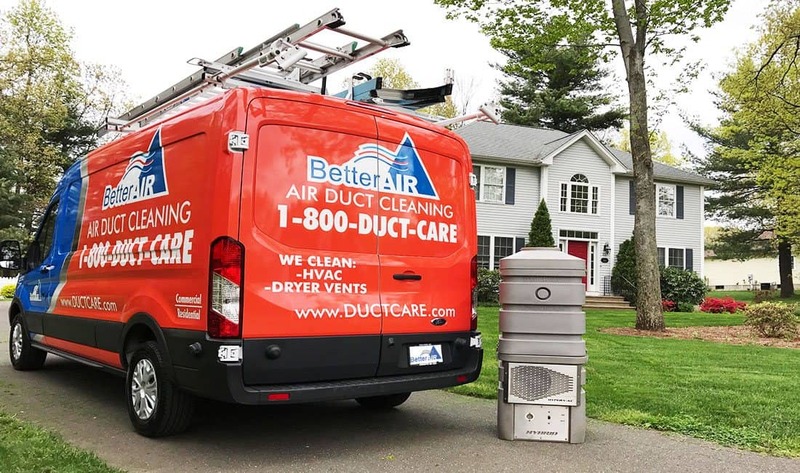 Lower utility costs & improve the efficiency of your HVAC system. 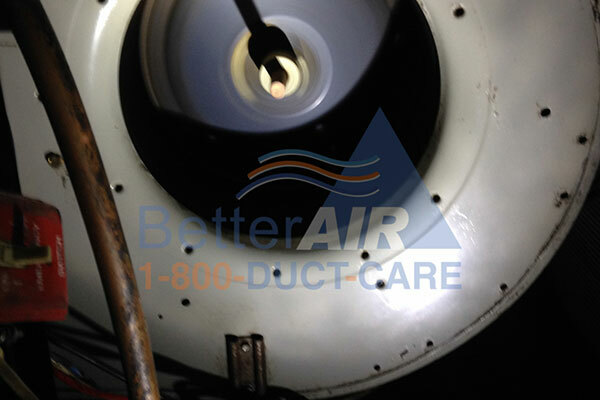 Extend the life of your heating and/or air-conditioning system. 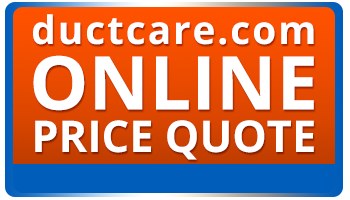 Improved health and well-being of your family. 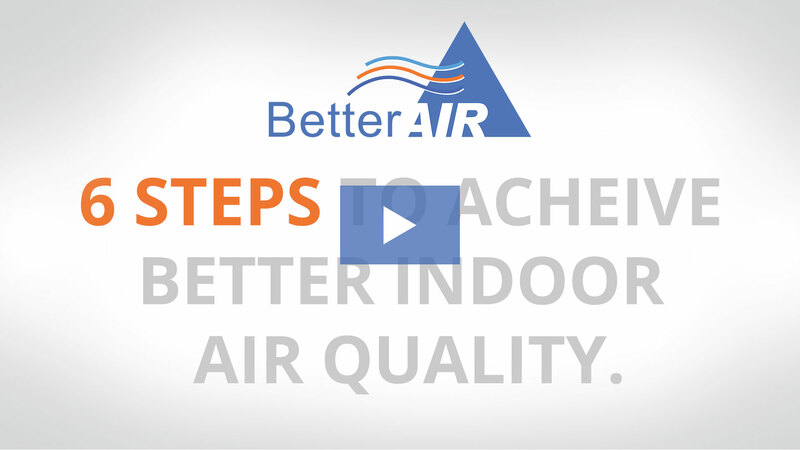 VIDEO: Better Air’s 6 step process for a cleaner and more efficient home HVAC system. 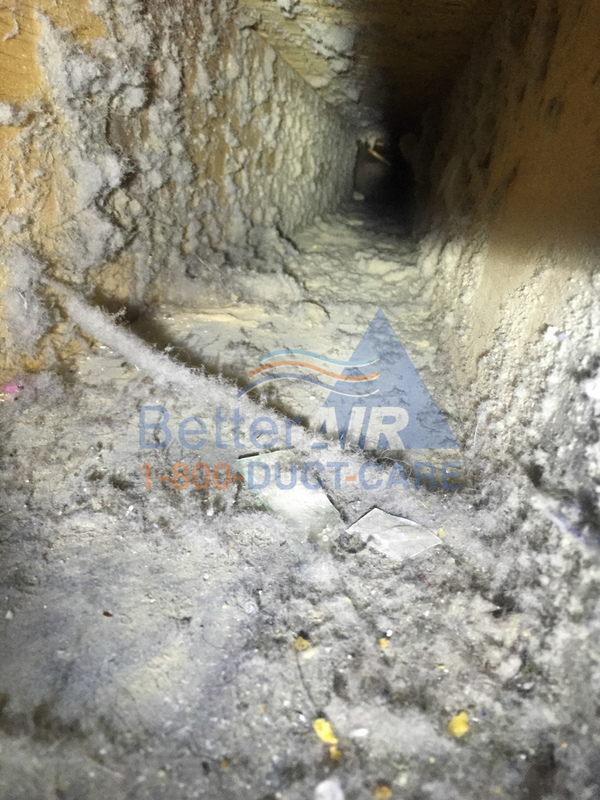 Do I need to clean the air ducts in my home? 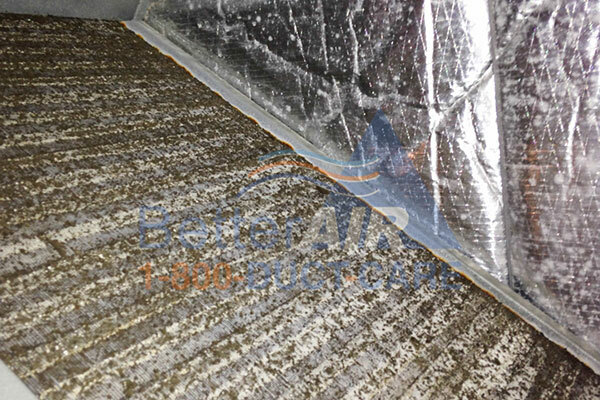 Think about how much household dust would accumulate on the floor if it was never swept or vacuumed. 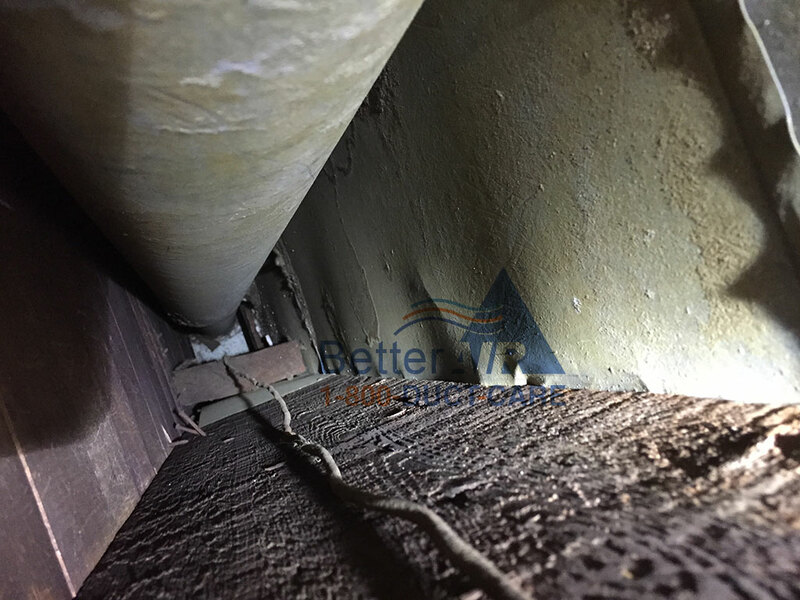 Then think about what may have fallen into those vents built into the floor over the years! 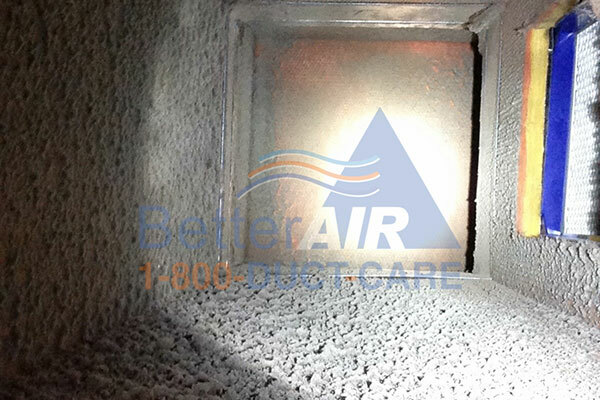 Allergens, pet hair, mold, and household dust can accumulate over time in your homes HVAC ductwork. 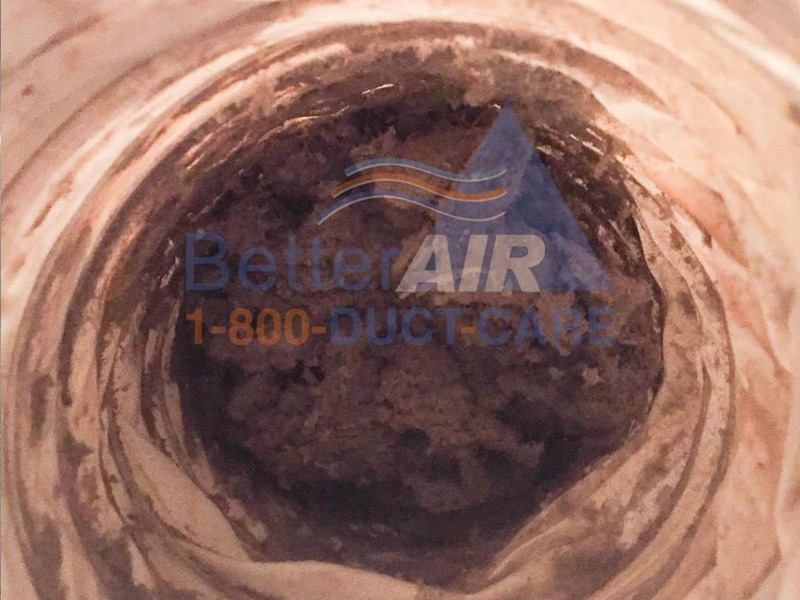 Every time you turn on your heating or air conditioning system these contaminants are agitated and can recirculate through your home. 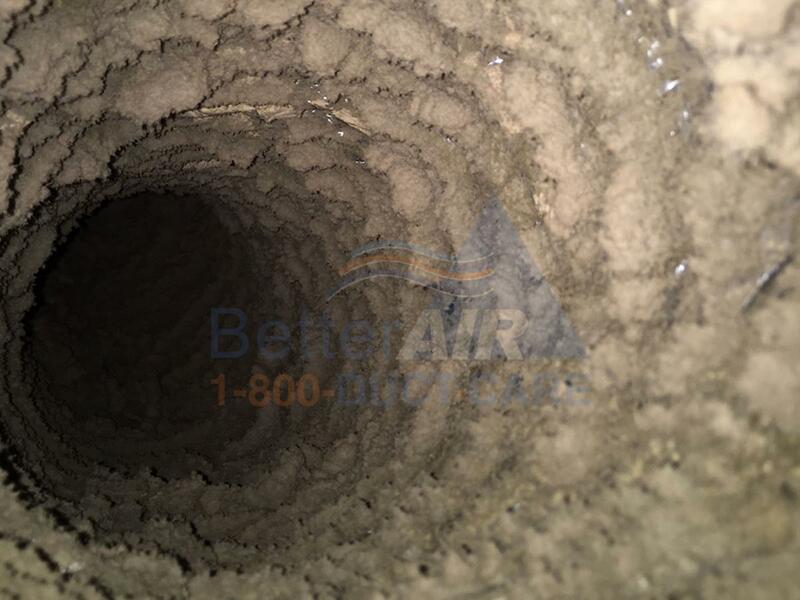 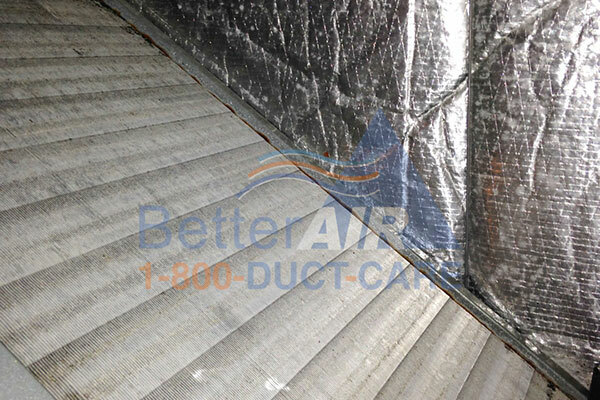 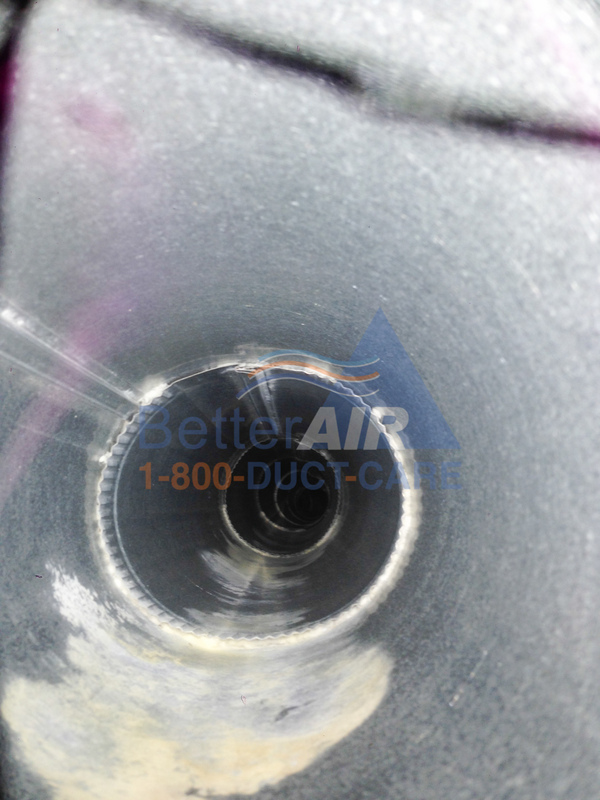 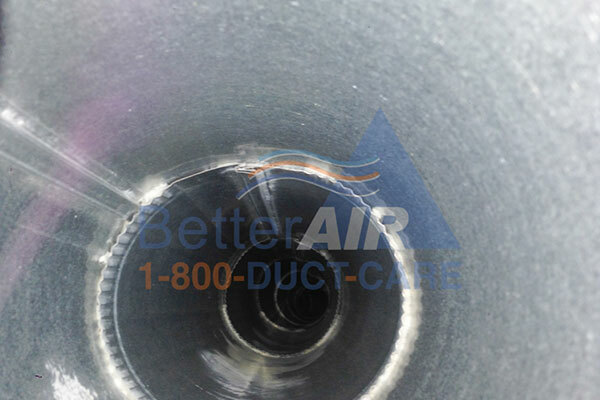 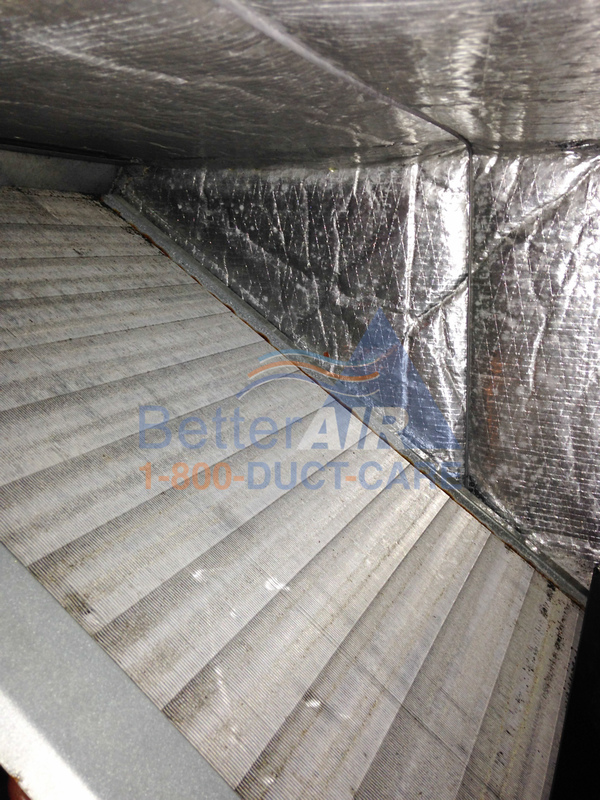 A proper HVAC air duct cleaning can remove years of contaminants from your home. 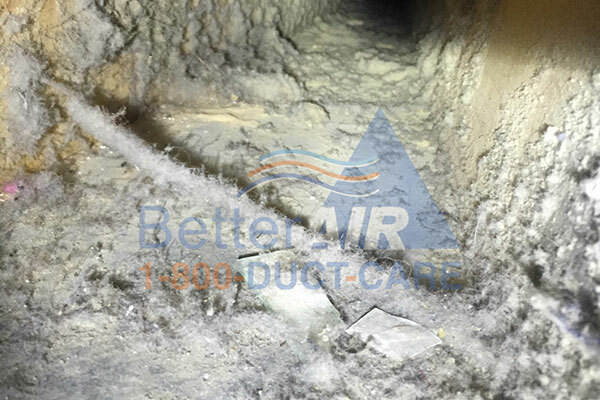 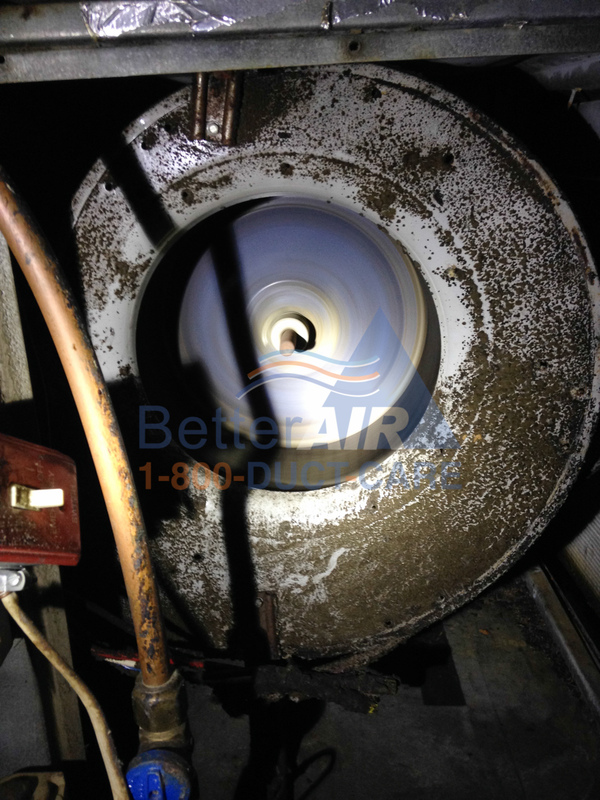 If you think you may need the air ducts cleaned in your home start with a visual inspection. 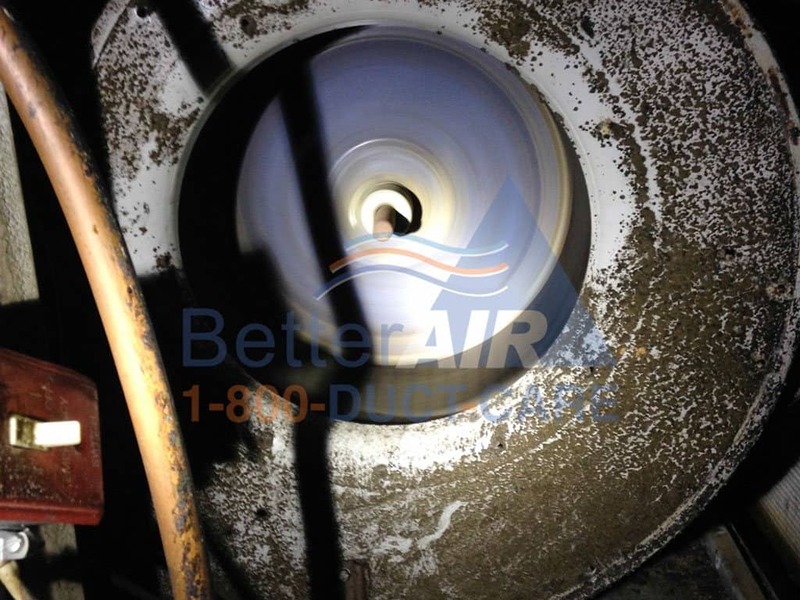 Grab a camera phone and a flashlight and open up the nearest vent, shine the flashlight down the ducts and take a picture. 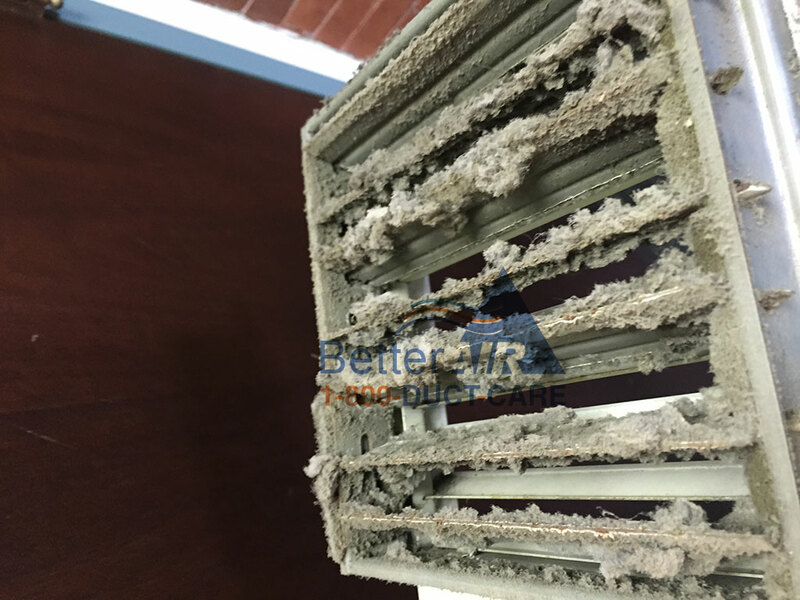 If the air vents have visibly accumulated dust and other contaminates then it's probably time for a professional cleaning. 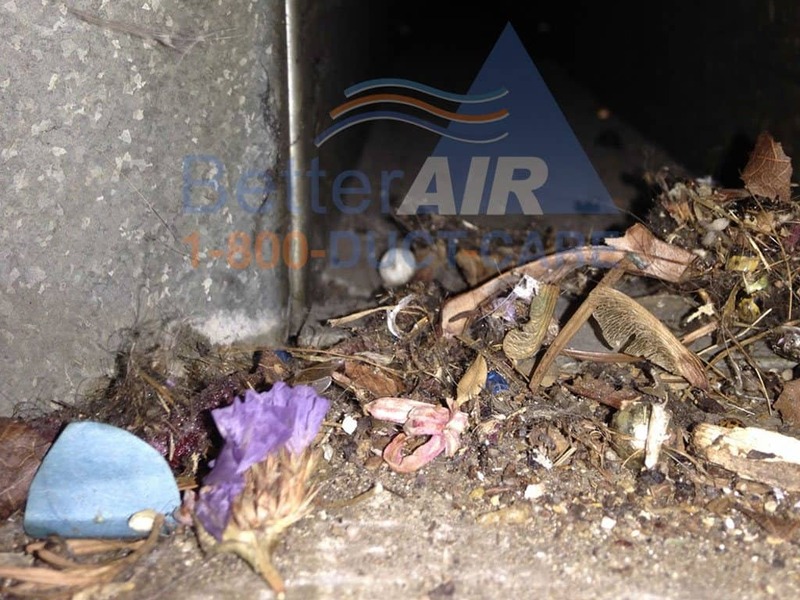 Clogged or dirty vent grilles are also a good indication that it may be time to clean your air ducts. 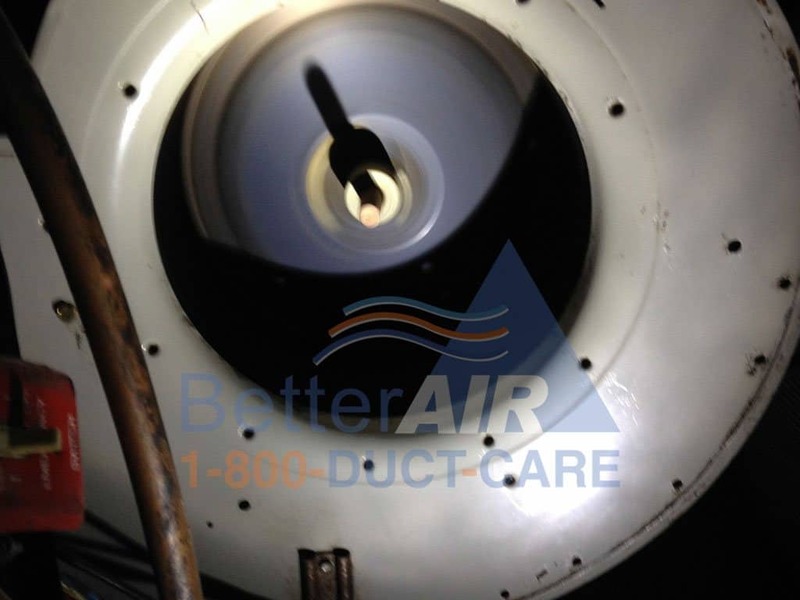 The National Air Duct Cleaners Association recommends homeowners clean their air ducts once every three to five years. 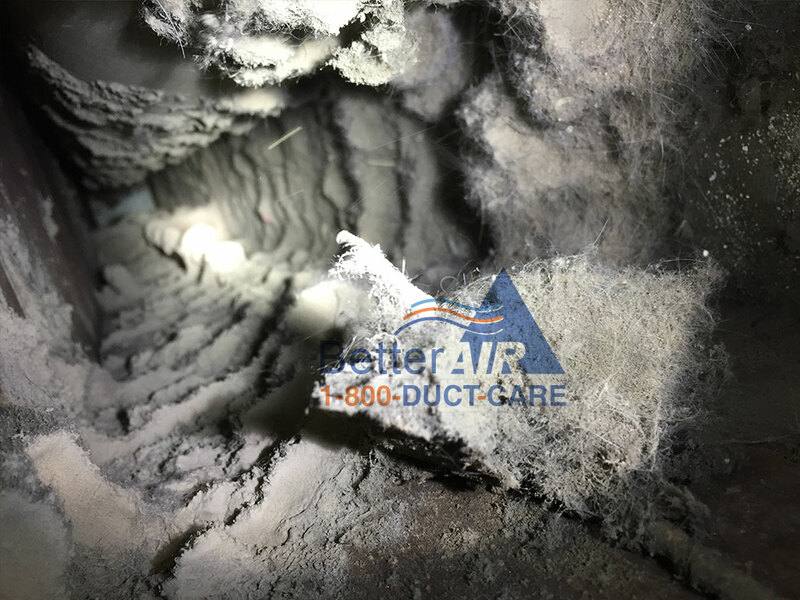 A proper professional HVAC system and air duct cleaning can remove contaminants from your home and can yield long-term energy savings. 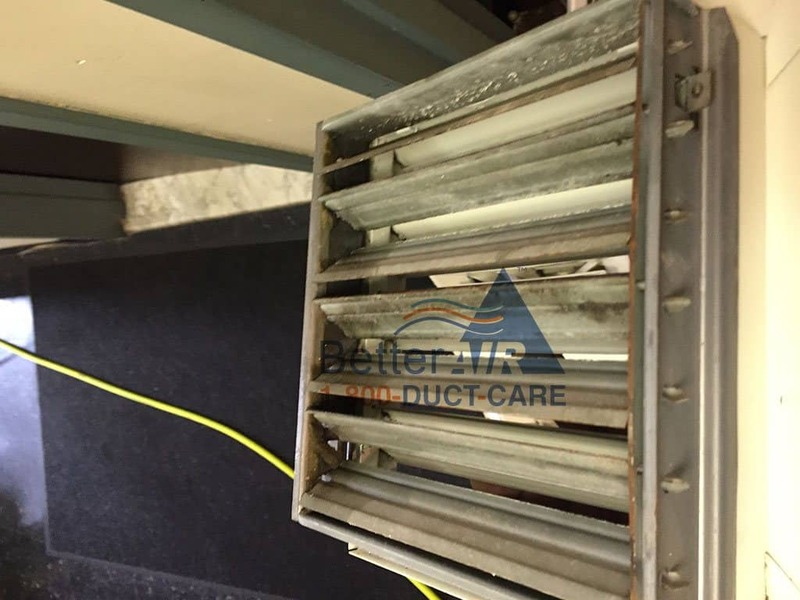 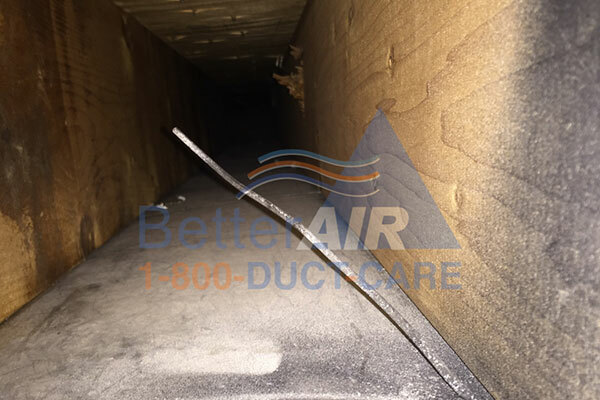 How do I choose the right HVAC air duct cleaning company? 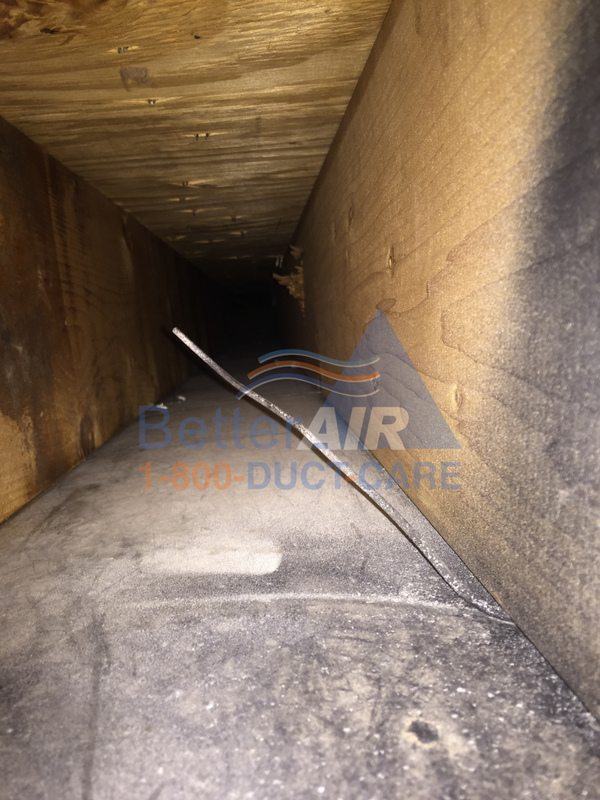 How long have you been in business and is HVAC air duct cleaning the only service you offer? 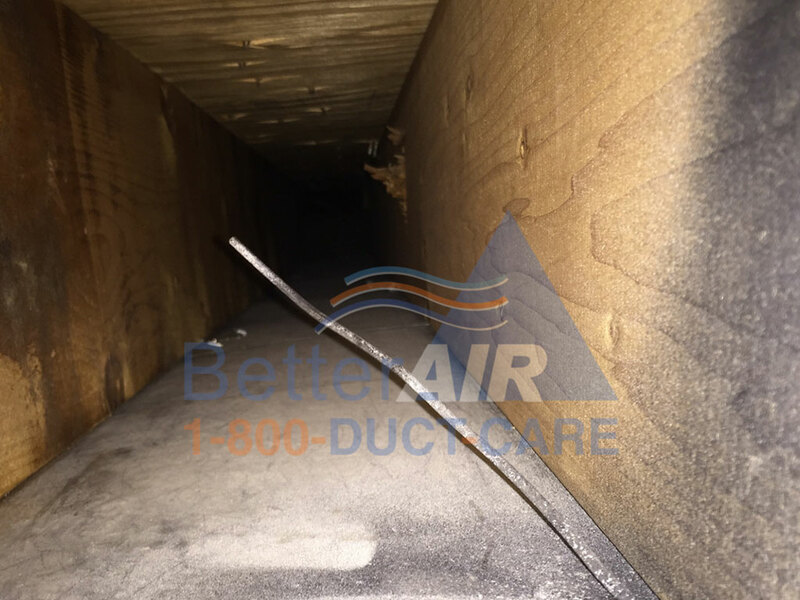 Does your cleaning process include cleaning the supply branches, return branches as well as all the return and supply trunk lines? 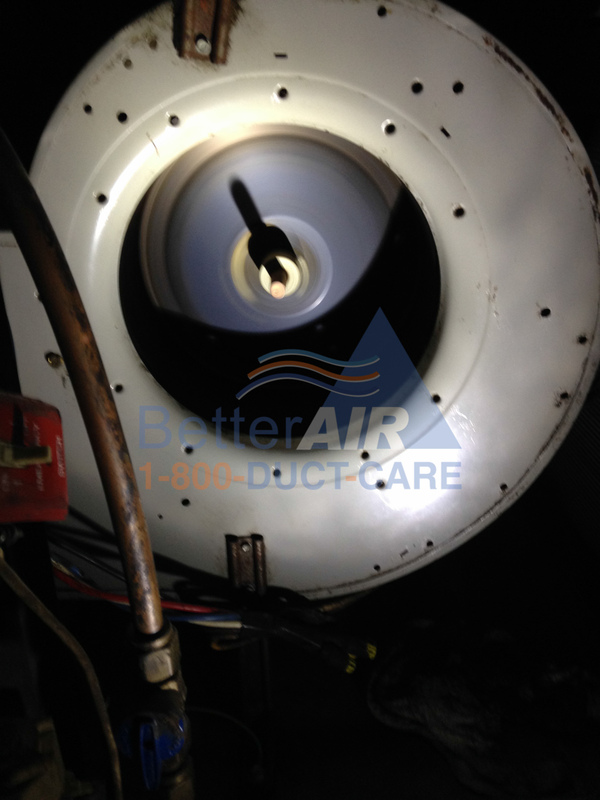 Do you use powerful vacuums on all your jobs 5000CFM or better? 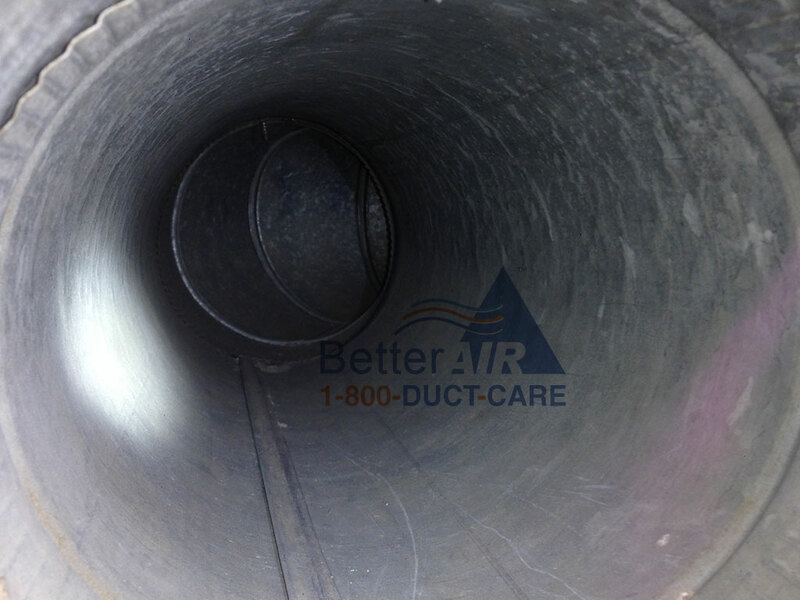 Do you take before/after pictures of all the ductwork for verification? 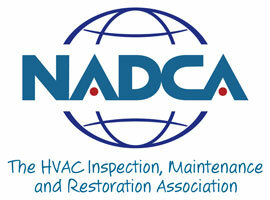 Do you provide a written guarantee of all the work you perform? 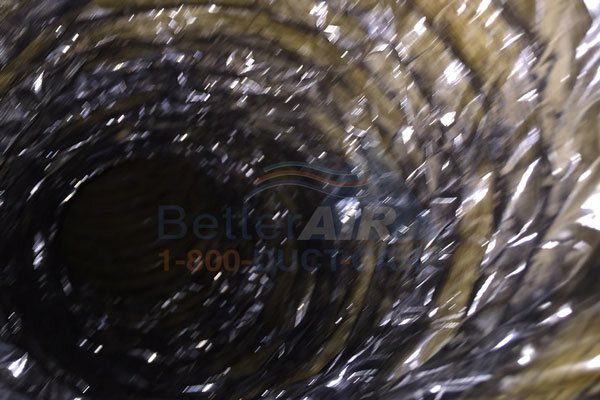 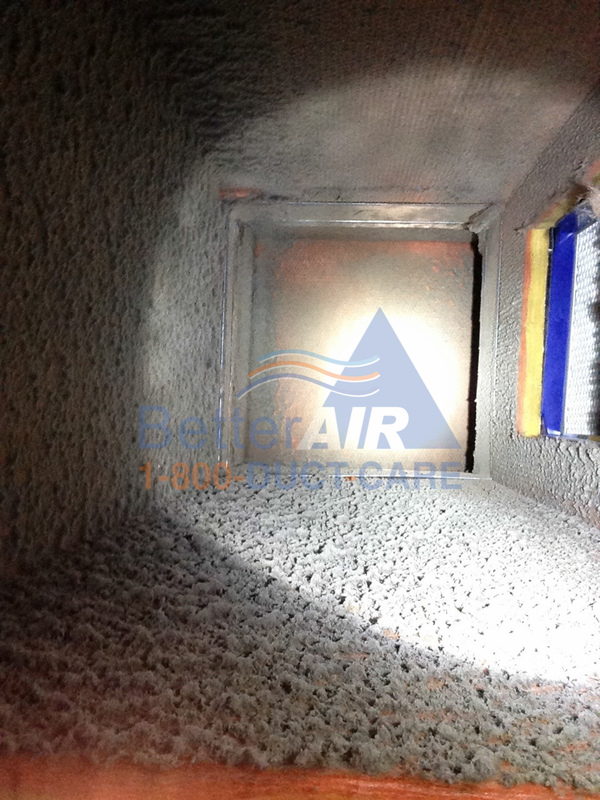 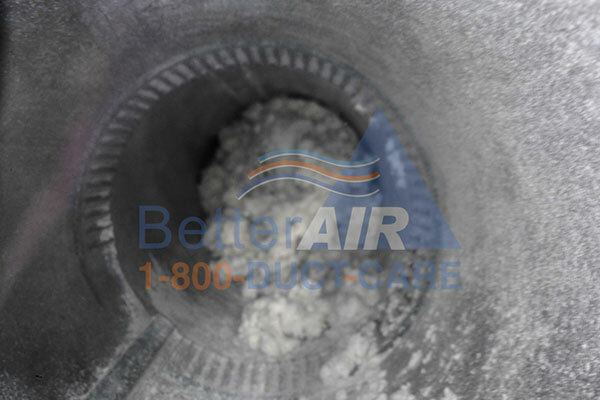 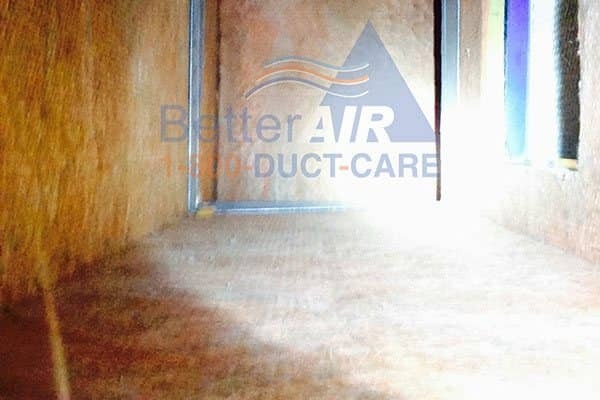 Actual Better Air customers' air duct cleaning videos. 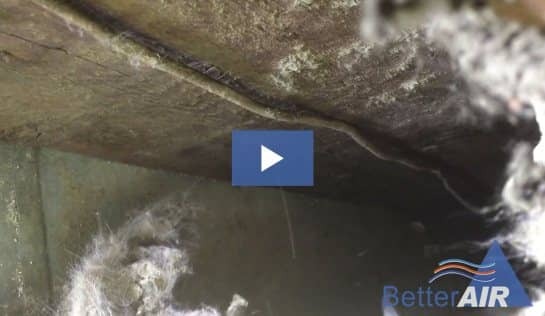 VIDEO: Do you have pets? 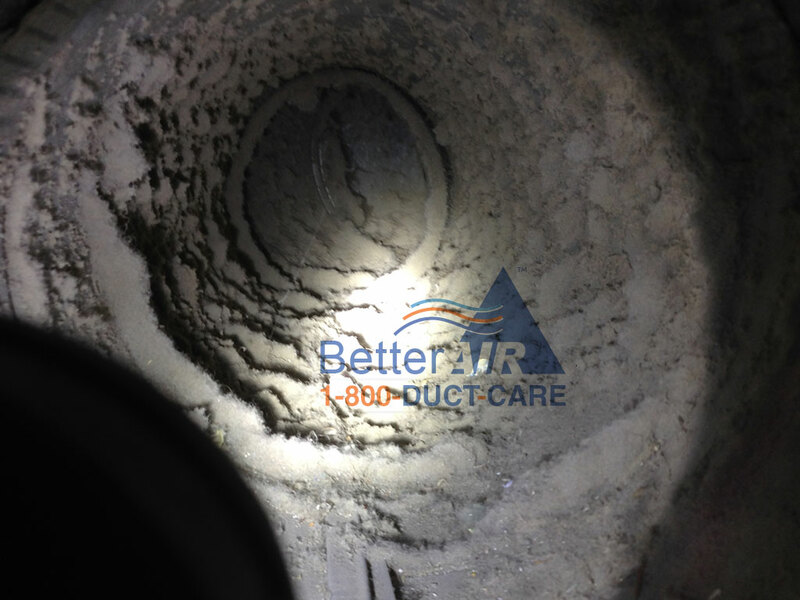 Check out this duct cleaning video. 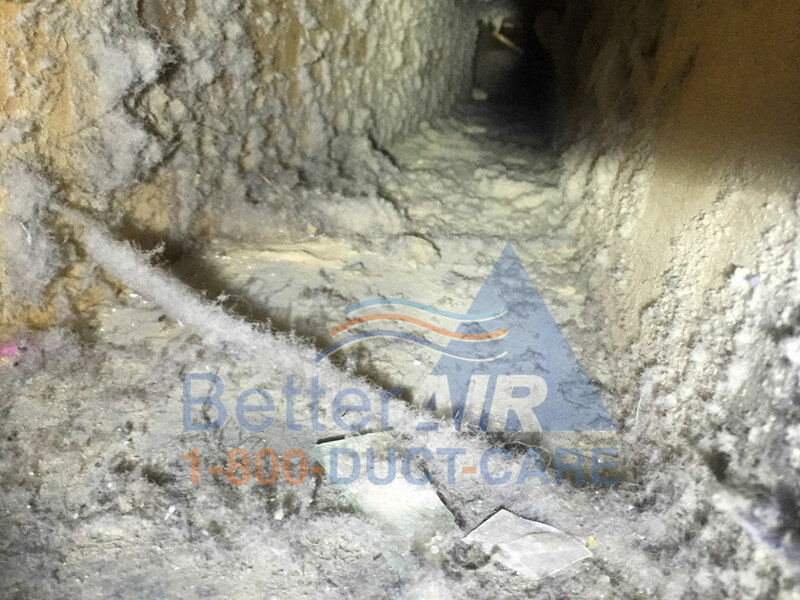 VIDEO: Better Air's NADCA Certified Technician cleaning a customer's Air Duct - INSTANT BEFORE AND AFTER. 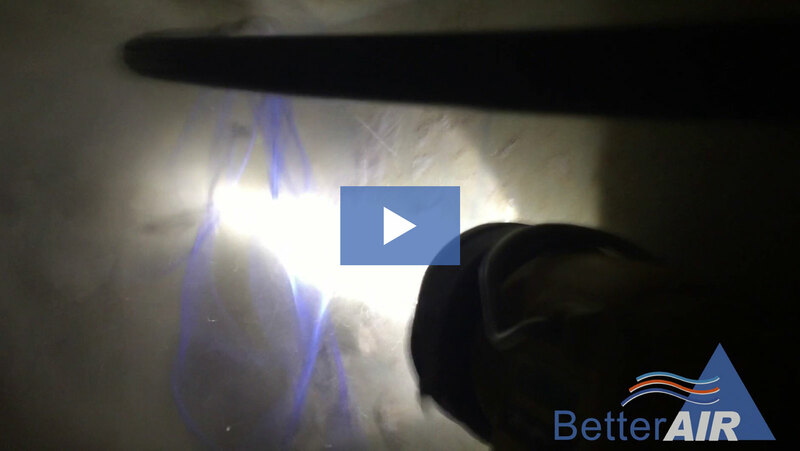 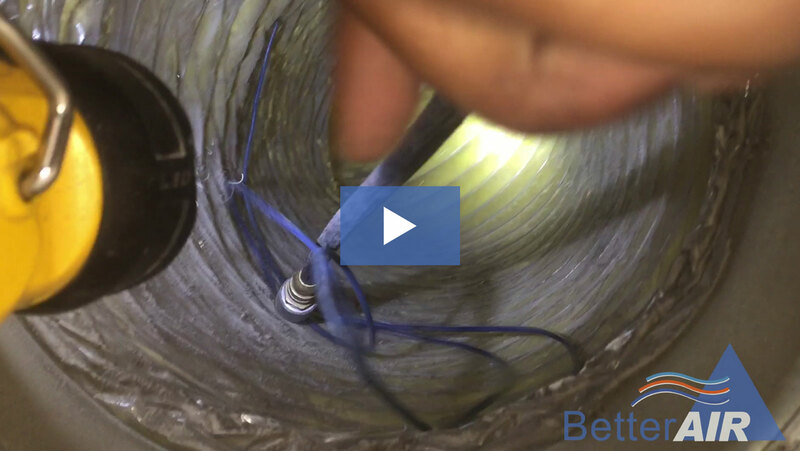 VIDEO: Better Air's NADCA Certified Technician cleaning a customer's Flex Air Duct - INSTANT BEFORE AND AFTER. 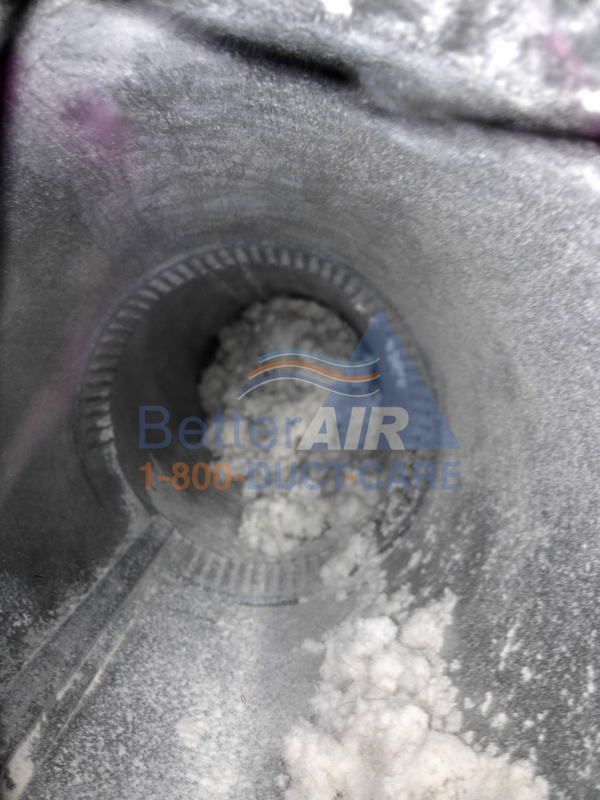 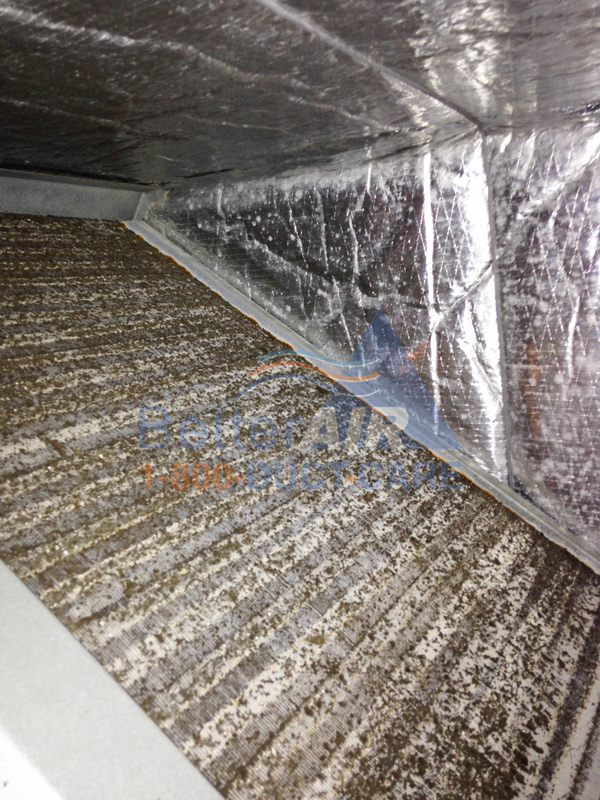 What are some contaminants that are in my Air Ducts & HVAC System? 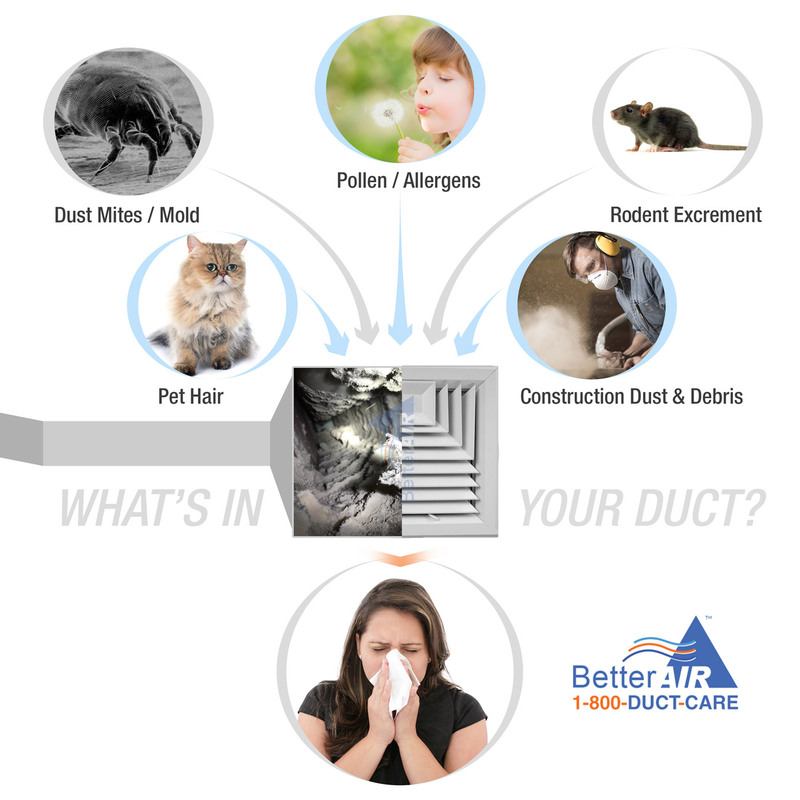 Pet hair & dander, Tobacco smoke, Pollen, Carpet fibers, Insects / Rodents, Microbiological Agents ( such as Bacteria, Fungi, Viruses, Mold), Decaying organic matter, Skin flakes, Dust mites, Residue from chemicals and household products. 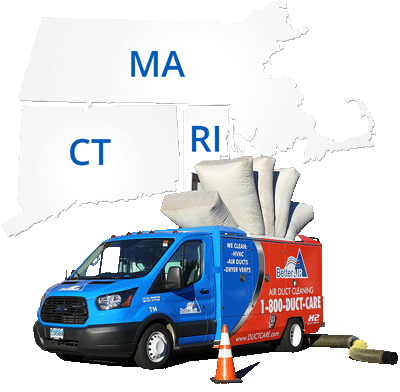 Call 1-(800)-382-8227 Today to Schedule!